I received this collection in exchange for a review, all opinions are my own. Clickherefor more information. This is another stunning trio by Paint it Pretty Polish and another of my group posts. Click on the name of each polish to be sent to the full review post. This releases on Friday, April 19th and the full collection is $28 or each polish is $10. Disclosure: This bag was sent to me in exchange for a review. All opinions are my own. Some links are affiliate links meaning I will make a commission if you click the link and make a purchase. Find out more information here. What is Adore Box? :Adore Box is a monthly subscription that features 4-10 beauty and lifestyle items. Items can be sample or full-size. They do ask for your t-shirt size when you sign up so that means clothing is also an option. How Much is Adore Box? : Adore Box is $12 for a single monthly bag, $22 for a double monthly bag (two of the same bag each month), or you can opt for the quarterly premium bag which is $39.16/bag. My bag is a regular monthly bag. Oooh, Clinique. We so fancy. I received this collection in exchange for a review. Find out more information here. Another day, another group post. I know, two days in a row, but it's a busy time for me and I needed to get both of these posts up. 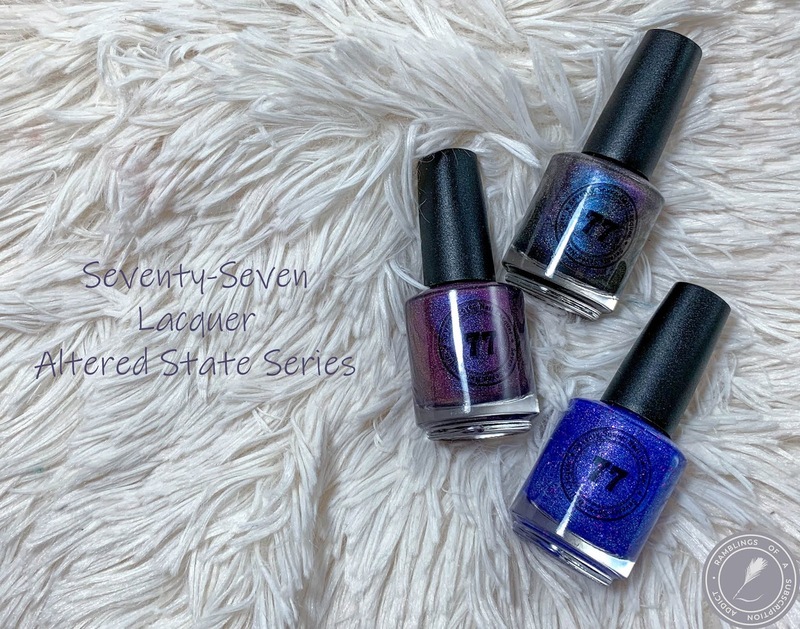 This group is currently available so head over to Seventy-Seven's website and grab them up. There are only 15 of each so don't wait! Each polish is $11.75. This is a blue/purple lover's dream trio. This is the limited edition polish that's only available in the full collection purchase, so make sure to grab the full thing ($99)! 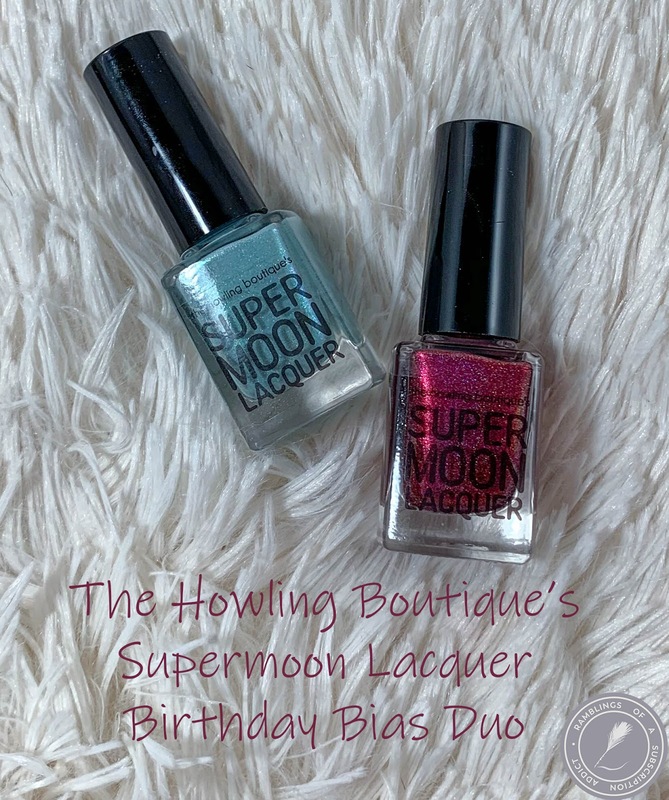 Check out the We Are Bulletproof: Wings Edition post and the Birthday Bias Duo post to see the rest of the polishes in this release! 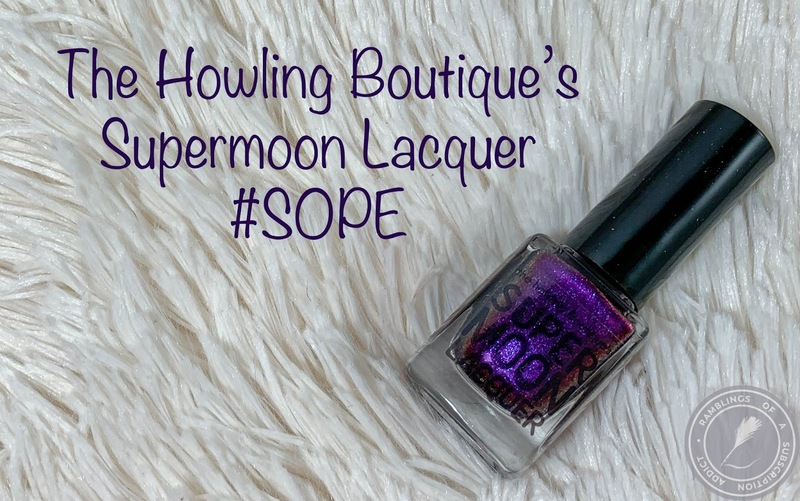 #SOPE is a red-violet based purple-to-red multichrome filled with matching color shifting aurora pigment, violet-to-gold color shifting shimmer, violet sparks, and purple pearl microflakies. This is yet another of my massive group collection reviews. Like always, each polish has its own review, just click the polish's name and you'll be able to find out all of my thoughts on each polish. Also, don't miss my review of #SOPE and the We Are Bulletproof: Wings Collection as well! Check out this stunning duo!